On a day that started with the birth of his son, Zalgiris Kaunas big man Brandon Davies celebrated with his first MVP of the Round honor, as well. Davies was relentless throughout a crucial 84-76 home win over Buducnost VOLI Podgorica that kept Zalgiris from falling further than two victories from the last playoffs position. He posted team highs of 21 points and 8 rebounds to go with career-high 5 assists on the way to a performance index rating of 34, the highest among players in Round 23. It was just the third-highest PIR of Davies' career, but in the other two cases, both last November, he was denied the MVP honor because his team lost the games. Mike James of AX Armani Exchange Olimpia Milan followed with a PIR of 26 based on his 19 points, 5 rebounds and 5 assists in an 87-83 home win over Maccabi FOX Tel Aviv. Malcolm Thomas of Khimki Moscow Region also had a 26 PIR and scored his career high of 18 points despite a 94-85 road defeat to Panathinaikos OPAP Athens. In the same game, Deshaun Thomas of Panathinaikos scored 22 of his 25 points in the first half and pulled 6 rebounds en route to a PIR of 24. 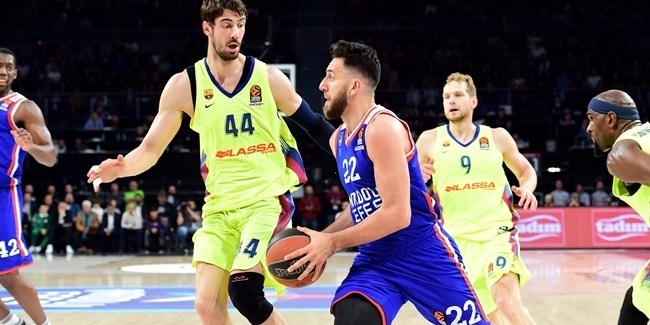 That was matched by Will Clyburn of CSKA Moscow, who put up 17 points and 7 rebounds as his team won 107-85 against visiting Herbalife Gran Canaria for its highest scoring total this season. Buducnost point guard Norris Cole led all scorers this round with 26 points. Milan's James remains as the EuroLeague scoring leader with 20.1 points per game. Khimki's Thomas was the top rebounder in Round 23, pulling down 11 rebounds. Nikola Milutinov of Olympiacos Piraeus leads the league with 8.0 boards per contest. Panathinaikos point guard Nick Calathes had 11 assists, more than any player in this round. Calathes is also the overall assists leader with 8.3 per game. His teammate Keith Langford, sidelined for the previous eight rounds, came back with a career-high 4 steals. Toney Douglas of Darussafaka Tekfen Istanbul leads the competition with 1.9 steals on average. 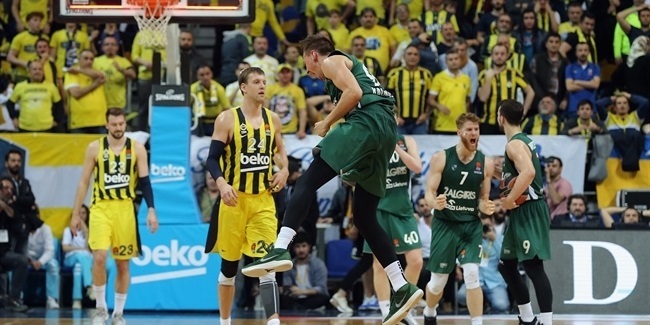 Another player returning from injury, Milan center Kaleb Tarczewski, posted a career-best number with 4 blocked shots, the most of all players in Round 23. Walter Tavares of Real Madrid tops the shot-blocking chart with 1.7 blocks per game. 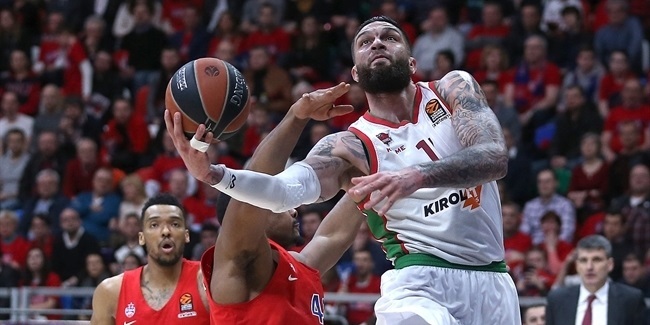 The only two players with double-double performances this round are Khimki's Thomas, with 18 points plus 11 rebounds, and Calathes with 13 points and 11 assists.